Can Brian Molefe be redeemed? SOUTH Africa is in desperate need of a hero. I find it hard to understand why so many otherwise intelligent South Africans who are also members of the ANC continue to restrict themselves to only expressing their anger and disappointment in the dark or in what they deem safe company, despite the madness happening in the governing party and, by extension, the country. Many are either scared of losing cushy positions, access to lucrative tenders and other privileges, or still prisoners of misplaced historic loyalties based on emotion. They do not seem to realise this, but the country that many of them and their loved ones sacrificed so much for – family life, youth, potential careers and a whole lot more – has been hijacked right in front of their eyes and under their noses by people they continue to shield through their silence, unexplained fear, and misplaced loyalty. I fear they will wake up one day in a place they no longer recognise and wonder how they could have got there in the first place. The only voices we hear are those of former party leaders who, genuinely disgusted by what is going on, have little to lose by expressing themselves freely. But even those voices are still too few and far between. And often, just to assure the current crop of corrupt leaders that they haven’t jumped ship and are not owned by the new bogeyman – so-called white monopoly capital – they make sure to cushion their criticism with an assurance that they’re still loyal members of the ANC – a practice that seems to have become an obligatory closing line to any criticism of the governing party. They want to condemn the cancerous mother body while ensuring that the umbilical cord linking them to it remains intact, just in case. They’re keeping their options open. Their chosen approach doesn’t work, because it gives the corrupt leaders in place reason to demand that members who complain do so in – wait for it – a disciplined fashion, in line with the ‘established traditions and practices of the movement’. To novices, this means they should raise their unhappiness quietly within the structures of the movement, away from the prying eyes of the rest of South Africa, especially the media. But we know that many party structures are controlled by carefully ‘elected’ officials who will not rock the boat. They’re quietly waiting for the long queue of possible succession to lead them closer to the feeding troughs so they can enjoy their turn. It’s one big lotto. Nothing else matters. Many of them have no sense of history or, when they do, it’s skewed towards party, not country. They’re happy to remain at the beck and call of corrupt leaders who will tell them when to manipulate local membership records to provide cover and a semblance of legitimacy for cronies who are to be fast forwarded to national Parliament to serve specific purposes. Haters may continue saying whatever they want, but former public protector Advocate Thuli Madonsela will go down in the annals of our history as one of the most globally visible indicators that South Africa has the requisite built-in institutions to serve as pillars for a possible equitable society – but only if they’re led by upright people who are free of political influence. Like a salmon swimming upstream, Madonsela’s office marched against a truly harsh political tide in the country, supported by a wave of psychological warfare whose narrative was often fed by insults aimed at her person. Alone, she looked the most powerful people in the eyes and pushed back long enough for the Constitutional Court to come to her, and our, rescue by endorsing her report on Nkandla. In unforgettable eloquence, the chief justice reasserted the importance of the public protector’s office in our constitutional order, reminding politicians that even the most powerful are not to second-guess its findings without subjecting them to a judicial test. There have been others before Advocate Madonsela. The erstwhile Scorpions were a formidable organised crime-fighting machine which was destroyed when the trained noses of its investigators led them too close to politically connected individuals. Former national director of public prosecutions Vusi Pikoli was another one. All indications also point to the so-called South African Revenue Service rogue unit – which doesn’t seem to have had anything “rogue” about it – as another body that was blown out of existence for taking its mandate too seriously, when it investigated possibly corrupt dealings by the powerful. The entire truth around this unit is yet to be told through independent structures. We all know that there’s always a price to be paid for trying to protect our institutions and country image; an image that has taken such a battering since the death of former president Nelson Mandela. More recently, a human resources officer of the Passenger Rail Agency of South Africa is yet to be reinstated after being fired by a rogue political deployee who didn’t waste time before illegally enriching himself following his deployment. The human resources officer paid the price for trying to stop the madness. 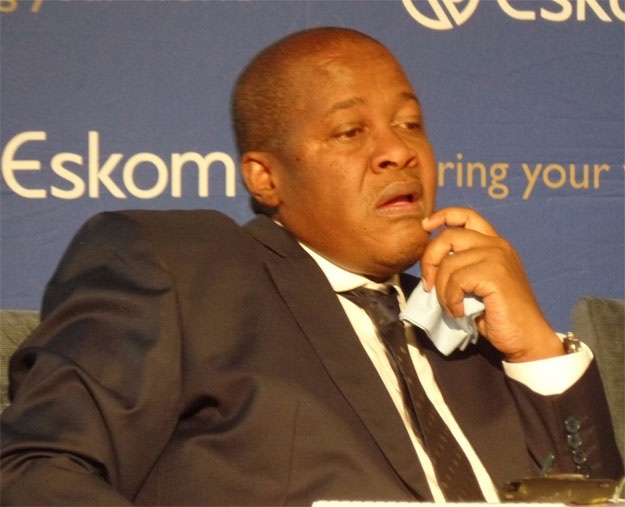 His current image might be damaged following events of the past few months and he might still have to give unemotional answers to allegations contained in the public protector’s State of Capture report, but all might not be lost for Brian Molefe if he wakes up now, before he gets deployed to commit undoable acts against our institutions. If, on the other hand, he keeps following blindly, he will one day look around the room and find himself to be the only man standing. Molefe can still be the unlikely hero our country needs if he acts to prevent the final guerrilla assault against our National Treasury, or if he publicly distances himself from plans of such a feared assault. Only he and whatever remains of his conscience can make the call. The country is watching; the world is watching. 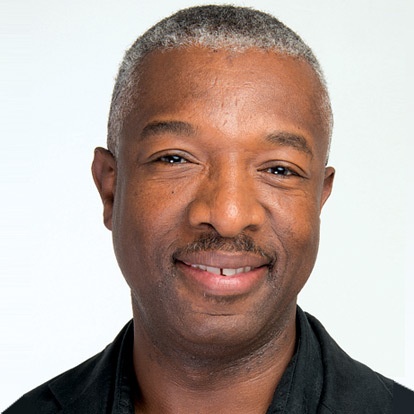 Solly Moeng is a tested General Manager with specialisation in holistic Brand Management, which includes Strategic Corporate Communication, Stakeholder Communications, as well as Public & Media Relations Management. His tertiary and professional careers have taken him to Canada, USA, France, Nigeria and India over the last twenty years. Former Cape Times columnist, Solly now also writes weekly columns for Fin24.com and for a number of other publications. He is busy with a PhD at UCT. DonValley is a new-age, boutique brand management agency specialising in the provision of strategic services and expertise aimed at building, revitalising or sustaining effective dialogues between brands and their target markets/ audiences. Brand Strategy Assessment and Development, PR & Media Relations, Strategic Communications and Marketing are all elements of brand management. Discussions continue at the 2013 PRISA National Conference: values, reputation management, crisis communication management, media landscape. .... contribute meaningfully to both the organisation and the profession.